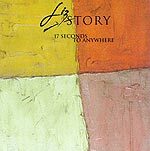 CD review: "17 Seconds to Anywhere"
Liz Story keeps new age honest. She always has, actually, ever since her first album on Windham Hill was released about 15 years ago. Story plays simple truths on her albums  stripped down acoustic songs on a plain piano. And none of the empty, aimlessly wandering pabulum of so many untalented frauds who embrace the forgiving term "new age." Story's songs have structure, have tension. They go somewhere, they say something. To be sure, Story is no prodigious giant of the keys like a Cecil Taylor or Keith Jarrett. Her technique won't give you shivers, there is no bombast in the woman. She is more modest in her aims. Small vignettes come through in her compositions, almost like accompaniment to old silent movies. Unlike Yanni, Story does not seek to capture the entire universe in each song. Perhaps because of this, she succeeds marvelously at her small-scale portraits, her beautiful landscapes.